Give me a drum roll please, because . . . there are now fifteen days until my first novel comes out! In fact, the eBook is released tomorrow, so in the next few hours people will be reading my book, whaaaat? 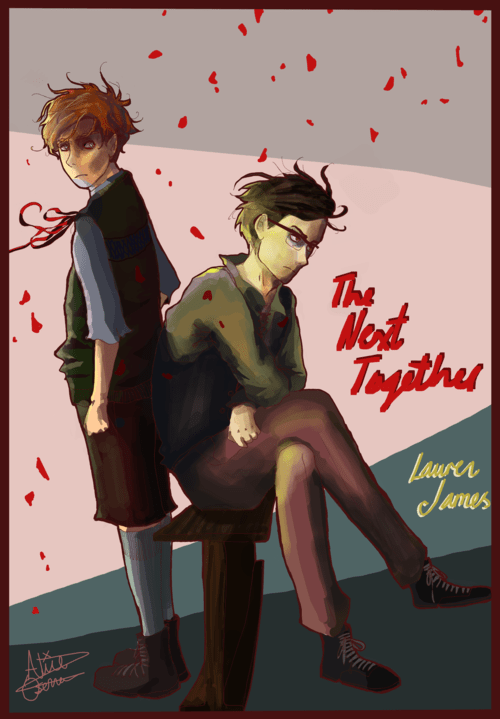 To celebrate, I’m going to releasing a new Behind the Scenes extra about The Next Together daily until September 3rd. You can find them all here, along with extras I’ve released in the past like An Interview with Kate, Locations of The Next Together and more. 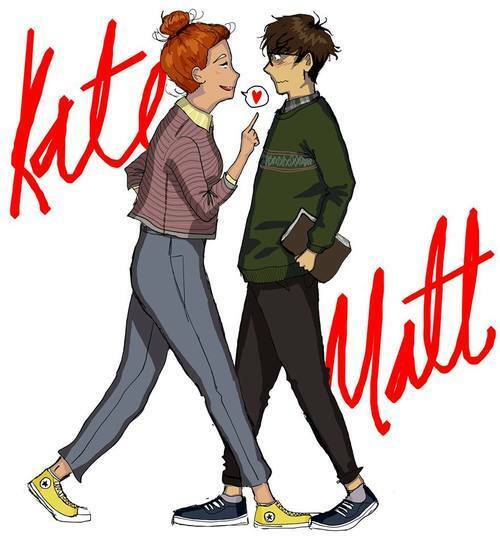 Today I’m going to introduce my darling characters, Kate and Matt. I always say that both Matthew and Katherine are me. Both of them, at the same time, in different ways. SAYING THAT, Matthew Galloway is totally based a little on Char, from Ella Enchanted*. Char is a wonderful character who just thinks the protagonist of the book is hilarious and incredible. He’s quite shy and quiet and serious until she brings out the fun and jokes from him. Char had freckles, and slid down the castle banisters. I had a lot of feelings about that character. So a lot of Matthew is based on my residual childhood crush on Char (I would have taken a bullet for Char when I was thirteen) but I didn’t realise that at all until recently. *The book, not the film. The film….let’s not talk about what they did to Char in the film. Matt is cautious and sweet, with a dry sense of humour, and he’s completely overwhelmed with admiration for Kate. Katherine Finchley is probably more based on just who I would like to be as a person. She’s also based on……………………do I want to say this? JUST….GO WITH IT. SHE IS. Okay I’ll say it. She’s probably a little bit of Jim Kirk from the Star Trek reboot. THAT SOUNDS WEIRD, OKAY, BUT SHE TOTALLY IS. She’s sassy, ginger, with a lewd and silly sense of humour. Kate is beautifully quirky and unashamedly funny and deliberately irritating in a way that so few authors ever let their characters be – which is a shame, because it’s so endearing to have her be so silly and fun with Matt, who is much drier and more serious, meaning they play off each other perfectly. I thought that was really lovely, and captures something about the relationship between Kate and Matt which I wasn’t able to put into words. They both have flaws and strengths, but compliment each other and work best together than individually. Picture of Kate and Matt being cuties by Rosy @ the Review Diaries. The book takes place in several different lifetimes throughout, where Kate and Matt have different social positions and upbringings. In the earliest, Matthew is a servant in Katherine’s family home. In another, Katy is Matthew’s servant instead, in disguise as a boy (illustrated below). In every life they meet and fall in love. I really loved exploring the way their different lives changed their relationship, but also what stayed the same – the chemistry and connection between them. You NEED to click the link and see this gifset in all it’s moving glory. It’s honestly like watching a film of my book. Because I’ve been thinking about these characters for over five years now (I started writing the book when I was eighteen, and I’m now twenty-three!) here are some other bits and pieces to help you get to know them. Kate is definitely a Gryffindor, because she’s an idiot. Kate is always running off into danger and Matt expends a significant amount of energy into trying to stop her. A daemon is an animal which takes the physical form of your soul in the world of His Dark Materials by Phillip Pullman. The kind of animal they become represents your personality. Kate’s daemon would be a bouncy, ridiculous ginger fox. 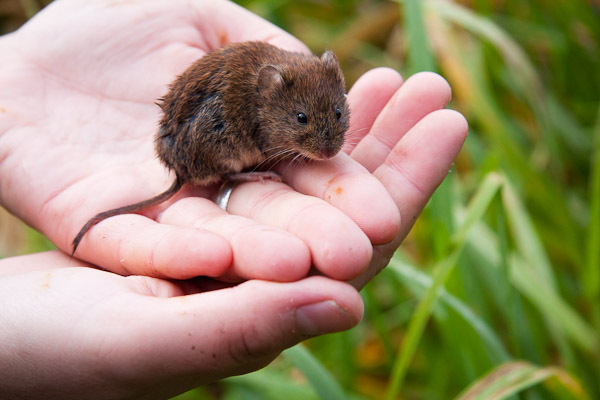 Matt would have a shy little vole that hides in his sleeve. Kate will never even see his daemon until they’ve known each other for six months. Most of their interactions look exactly like this. I think Matt would be really confused by the concept of OTPs, but when Kate had explained it to him, he would realise he has very strong feelings about Amy/Rory from Doctor Who – mainly because of Rory being referred to as Mr Pond because….yeah. He’s totally Mr Finchley. He would also be into Simon/Kaylee from Firefly for pretty much the same reason. Kate is a big fan of Orange is the New Black, so her OTP would probably be …. any and all ships in that show. She isn’t a very discriminate shipper. So, that gives you a little introduction to the characters of my book! Tomorrow I’ve got a very special treat to celebrate the eBook release, so watch out for that! In other news: Tickets for YA Shot, which I’m appearing at, are now on sale! They’re expected to sell out quickly so buy them here now! Also, this weekend I finished writing the first draft on my third novel, a day before I turned 23! The process turned me a little insane, which tumblr seemed to enjoy. 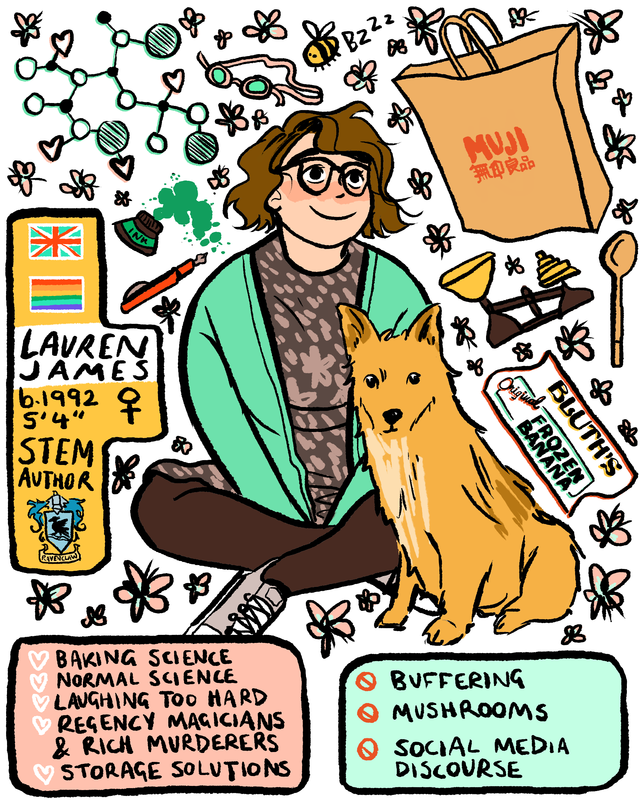 This entry was posted in extras, the next together and tagged dexy's midnight runners, ella enchanted, his dark materials, hogwarts houses, oitnb, star trek, YA shot on 19/08/2015 by Lauren James.